Kim and Jen are involved in working with the community to raise awareness and funds for charity. 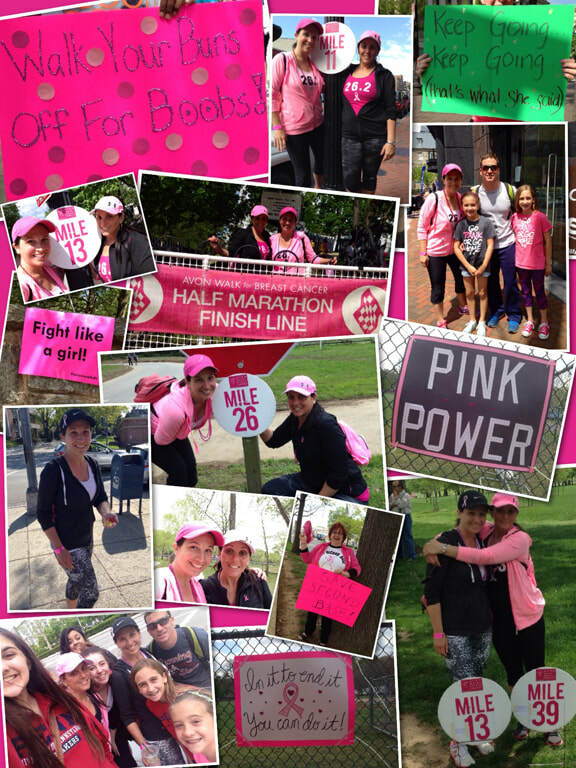 In spring 2012, 2013, 2014, 2015, 2016, and 2017 a team from Running with the Stars participated in the Avon Two Day Walk for Breast Cancer in Washington, DC. We walked 39.3 miles over the course of two days in Washington DC and Maryland - a marathon on day one (26.2 miles) and a half marathon on day two (13.1 miles). In June 2012, we took part in the Relay for Life event at Heritage High School in support of the American Cancer Society. Kim and Jen can often be seen walking in Ashburn and Sterling - honk if you see us!